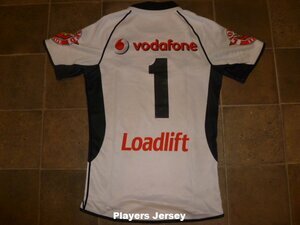 This jersey was exactly the same as the 2009 in every way with one small change. 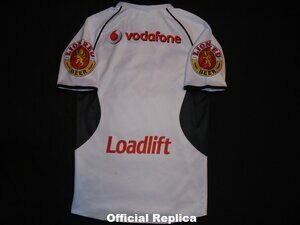 The sleeve sponsor Lion Red Beer was replaced with Lion Red League and had chevrons added into the logo. Everything else was kept as is. OFFICIAL REPLICA - Not as common as the 2009 but to be honest the difference in the sleeve sponsor wasnt enough to get people buying it again and most would see the 2009 and 2010 as one in the same. These dont sell very well unless its in good condition. Most will have damage around the collar. Some go as little as $40. The white away jersey will more often then not have some staining on it.